Viva Foot support, anatomically shaped for comfort. Quality leather with carbon filter for optimal hygiene and superior comfort. Inhibits the growth of bacterial odours. Should be aired after each use. 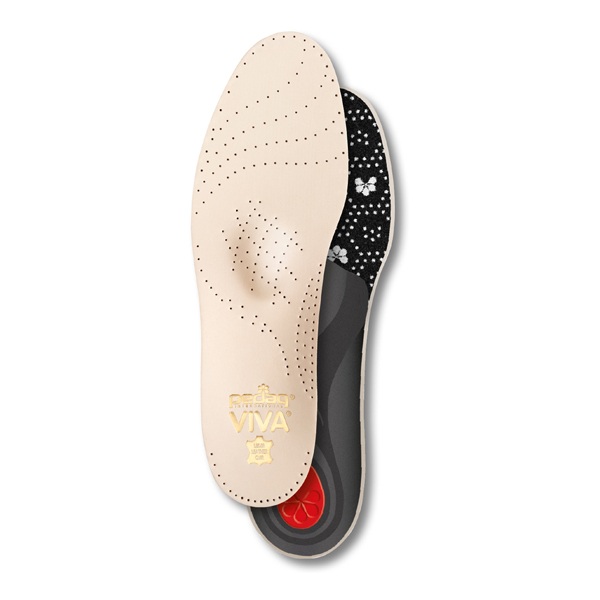 Viva is thin enough to fit in almost any shoe.Antibacterial and water absorbent.